The Home Office has registered Le Cordon Bleu London as a Tier 4 Sponsor, which authorises our sponsorship of international students for a Tier 4 Visa. We hold accreditation from NCFE and the British Accreditation Council, and are subject to educational oversight by the Quality Assurance Agency for Higher Education (QAA). Le Cordon Bleu certificates and diplomas are accredited as “Customised Qualifications” by national awarding organisation NCFE. These bespoke qualifications are unique to Le Cordon Bleu and do not sit on a national framework. 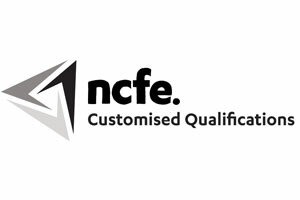 NCFE accreditation ensures that the qualifications have measureable learning outcomes benchmarked against the Regulated Qualifications Framework (RQF) level descriptors, and gives assurance that the content of our qualifications are of a high standard, meeting the rigorous quality assurance requirements of a national awarding organisation. Le Cordon Bleu London has been accredited by the British Accreditation Council for Independent Further and Higher Education since 2008. 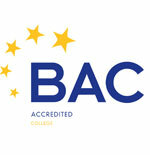 BAC accreditation is recognised the world over by students, agents and government officials as the clearest mark of educational quality in the private sector, and is recognised by the UK Visas & Immigration (UKVI) as a qualifying requirement for institutions wishing to enrol students on Short-Term Study Visas. The maintenance of the academic standards of the awards offered on behalf of the awarding organisation meets UK expectations. The quality of the provider's information about learning opportunities meets UK expectations. An action plan has been prepared in response to the good practice and recommendations highlighted in the report, which is available here. A monitoring visit was carried out in October 2018 which concluded that the provider is making commendable progress with continuing to monitor, review and enhance its higher education provision.